Erik Griswold performs Wallpaper Music. Photo by Marty Williams. Combine the melodic charm of the piano with the raw elements of percussion, and you have the prepared piano. 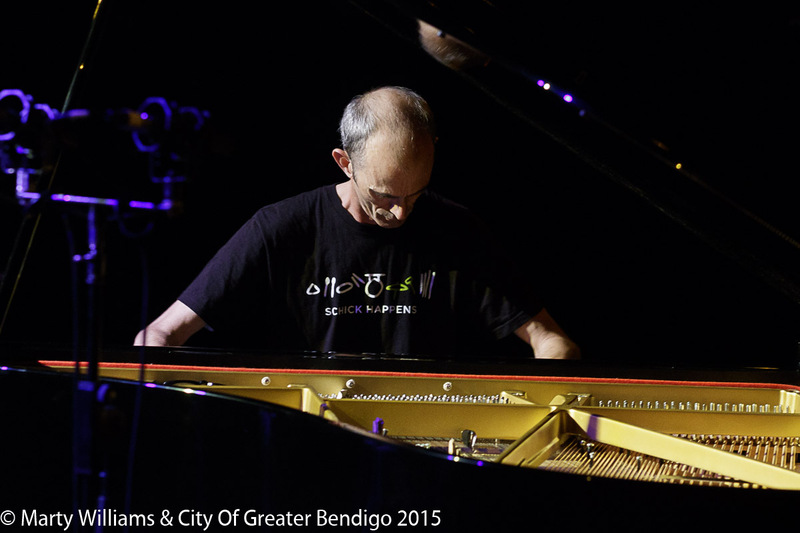 It’s a musical universe filled with metallic rattles, buzzing bell-like tones and dulled acoustics that inventive Brisbane-based composer and pianist Erik Griswold has been exploring for decades. In his 2006 long-form piano work Wallpaper Music, Griswold ‘radically retunes’ the traditional piano by inserting everyday objects such as screws, bolts and strips of rubber between the strings of the piano. This physically demanding performance of apparent perpetual motion, with hidden melodies and richly layered percussive timbres, turned Bendigo’s Old Fire Station into a hypnotic space. In 1940, American composer John Cage was commissioned to write accompaniment for an African themed dance piece. The work’s small performance venue was impractical for a percussion ensemble, so Cage created the prepared piano as a substitute. By preparing the piano the notes lose their ‘pure’ identifiable pitch and instead take on a metallic, dull or wooden quality akin to that of percussion instruments. Cage believed the foundations of music to be sound and silence, with the only thing common to both being duration. As a result he felt rhythm was more important than melody and harmony, making prepared piano—with its added percussive focus—the perfect medium for combining all three. Griswold explores this notion in Wallpaper Music, a continuous 60-minute piece with minimal melodic and dynamic variation that ultimately allows the audience to focus on the relationship between percussive effects and rhythmic structure. The sheer physicality of the performance was impressive as Griswold played an unbroken flow of notes with rippling fluidity. His effortless dexterity in navigating the full range of the keyboard added a visual element to an already engaging performance. Bold forward momentum and a simultaneous sense of stillness seemed to turn in an infinite loop as Griswold, often swaying in slow circles, balanced relentless motoric figures with delicate emerging melodies. His refusal of dynamic accentuation in a work already without definable rhythmic metre created the perception of a circular, almost minimalist, development.